Since 2015, Gwadar has been a sorry tale of insensitivity, inaction and the incompetence of Pakistani leaders. It is an extremely sad comment on missed opportunities. At the same time, Gwadar reflects poorly on the incompetence, lethargy and obstructive nature of Pakistan’s bureaucracy. This simply reinforces the grievances and grudges that Baloch Pakistanis have long nurtured against the rulers. We hear that the groundbreaking for the new Gwadar Airport may take place this week when the prime minister lands there for the first time. This would happen to the context of great displeasure by the Chinese government and officials over adverting delays and conscious delaying tactics. When he arrives there, he must ask all federal and provincial officials: Does the town have electricity? What is the fate of the promised 300 MW coal-fired power plant? Is there water to supply the town and the free industrial zone? What is the fate of the water supply pipeline? Has the National Highway Authority removed its objection to the pipeline passage through the highway, an issue pending since 2017? The prime minister must also ask insiders about the systemic opposition – bureaucratic and political vested interest- to the development of Gwadar. 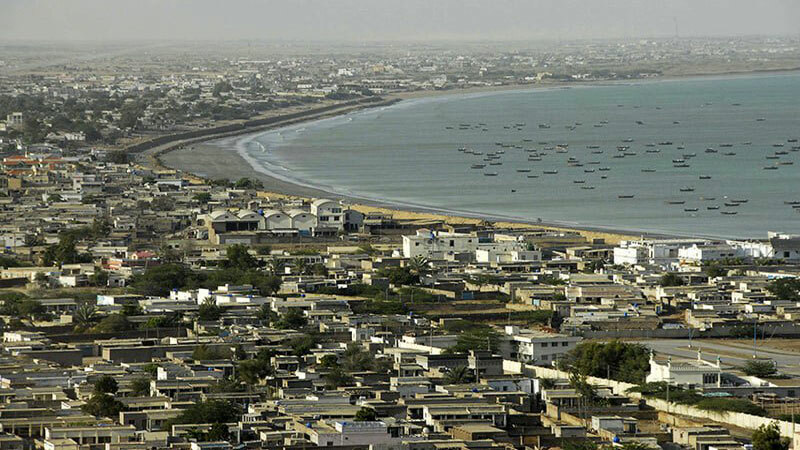 The entire Gwadar town gets 14 MW of electricity from Iran. A politically connected tanker mafia supplies water to the town. That is why the Chinese operators of the port had installed a 9.5 MW diesel-fired plant to run the so-called Industrial Zone. They had also installed a desalination (reverse osmosis) plant to meet their own CURRENT needs, as well a operationalised the cargo cranes. They did it within four months. But what would happen once the heavy industry is installed because the industrial zone would then need much more uninterrupted power supply? Let us explain what preceded the ground-breaking of the airport, and why should it be a wake-up call for our civilian and military leaders who endlessly talk of Gwadar as the jewel in the crown of the CPEC. The Memorandum of Understanding for the airport and three road infrastructures was signed in 2015 when President Xi Jinping visited Pakistan. The Chinese government announced a $259 million grant for the airport. The Civil Aviation Authority (CAA) acquired and totally fenced off the area in 2016. A European company had undertaken feasibility for it. A Chinese company, on behalf of its government, reviewed it and had almost finalised it when Pakistani leaders asked Beijing that Gwadar should have a state of the art airport. And, thus, a new feasibility study was done. But then the project hit a big snag: the Chinese company asked for electricity plans and refused to start work at the airport until the finalisation of the electricity plans. Following several knots, a meeting of the Seventh Joint Cooperation Committee also recommended an immediate construction of the 300 MW coal-fired plant. Why? Because Balochistan, as a whole, gets only 700 MW electricity from the national grid – only one-third of its total requirement. Additionally, the distribution and transmission system has no capacity to carry more than 800 MW of electricity. And the JCC recommended having power plant totally independent of the national grid. Should it not have been a priority of our great leaders who have been crying hoarse that CPEC is a “game changer?”How could it be without water and electricity at one of the two critical ends of CPEC? Ironically, though unexpectedly, the electricity plan hit two major roadblocks. First was the Environmental Impact Assessment (EIA), which took more than a year and was used in multiple ways to delay the project. Secondly, the Chinese company that was supposed to construct the plant was offered a ridiculously low tariff – unlike the tariffs that similar plants are paid in Punjab and elsewhere. Gwadar is a remote place with minimal facilities, and any industrial or power operators would come in only if it had water and power. And big incentives were needed in tariffs. But only the contrary was offered and thus caused more delay. Apparently, the tariff issue has been resolved but one can imagine how the tardy, obstructive system has delayed a project so critical for the development of Gwadar as a whole. Imran Khan shall have to move swiftly, in a demonstrable way to assure Beijing that his government fully supports the CPEC. One way of dealing with the CPEC would be to create an autonomous Caucus comprising provincial and federal bureaucracies under the watch of a cross-party parliamentary group to make decisions and follow up implementation. The Islamabad Airport took 12 years to complete – despite being under the nose of the federal government, albeit key officials and politicians used an originally Rs 23 billion project as a milking cow to push it beyond Rs. 100 billion. To prevent Gwadar airport falling victim to political vultures and the whims of greedy, self-serving bureaucrats, the entire project must be left to the Chinese constructors for speedy completion. The present government shall have to prioritise power transmission, particularly now that the country is expected to have 45,000 MW electricity by the end of the year, against a maximum demand of 23000 MW. The previous government accord no priority at all to increasing and expanding the transmission capacity. It appeared interested only in road infrastructure and new power plants (this is the best way for quick dirty money). Imagine the minimum capacity charges that the government will have to pay for the surplus 20,000 plus MW if it cannot transmit this. How shameful for the planners. Lastly, the prime minister shall have to hold the National Highway Authority accountable for not allowing the water officials to take the pipelines from the Sawad Dam, some 90 km from the town, across the Highway. The NHA refused permission to break the road for laying the pipeline and thus no water for Gwadar which urgently needs water. The PM has to rid Gwadar of the tankers’ mafia, which pockets tens of millions every month for supplying water to the Gwadar town. What a shame on the part of all officials involved. This is the age of smart, swift decisions when it comes to the public good. But these officials remain locked in the obstructive and extractive governance regime of the 19th? If the PM really wants the country to benefit from the huge Chinese goodwill for Pakistan and retain its interest in expanding the CPEC investments, it shall have to minimise the windows that investors have to deal with. This will be key to poverty alleviation and employment generation. Balochistan and Gwadar deserve extra attention and unusual empathy than the lip service that successive governments and military leaders have accorded to it. Spell out terms of engagement and assign focal persons to speak on CPEC issues and must deal with all related matters possibly through one window.